VirtualBoss is a flexible scheduling software that is easy to set up, easy to learn, and easy to use. Plan your jobs better, save time, and get organized the easy way! We've been around for over 15 years, offering great service and an affordable solution to your scheduling needs! 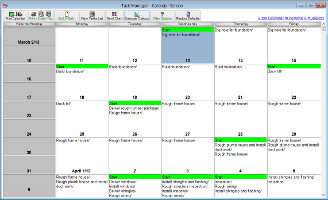 As a Homebuilder, General Contractor, Property Manager, Developer, Remodeler or Service Company, you need the right scheduling software to stay on top of things. 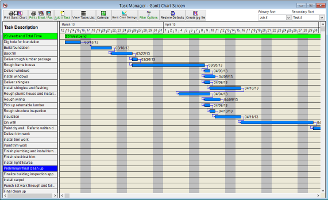 VirtualBoss is fast, easy to use, and is a great project management software! We also offer a 30-Day Money Back Guarantee, so you have plenty of time to decide if this product is right for your company! Check us out and see what VirtualBoss can do for you by downloading the free trial. If you still have questions, you can reach out to us for more personal assistance. Released on May 21st, 2018. Task Reminders are now available! Remote VirtualBoss gives you the ability to access your project tasks, jobs, contacts, and more, from any computer or device with an internet connection. You can give anybody access to your schedules to just view, or to make updates to them out in the field! Create custom logins that will allow multiple employees, managers, home owners, or subcontractors, to view or update the progress of a Job from anywhere. You can have a simple one-user system, or you can have many people access your information simultaneously! Remote VirtualBoss can be viewed from any device with a web browser! This includes browsers found on mobile devices like Android, iPhone/iPad. Everything you'll need to know about using VirtualBoss can be found in our Getting Started Guide, which covers beginner and advanced topics.